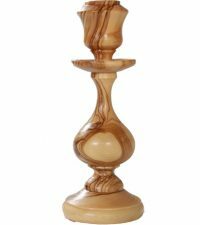 What do you give that person who has everything? Most of us have at least one of these people on our list! Surprisingly, you might just find the answer here. 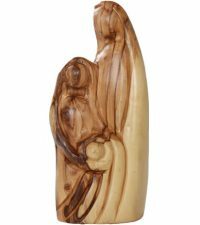 Let’s face it – Unique Christmas gifts can be hard to find, and unique Christmas gifts that are meaningful can be even more difficult to locate. 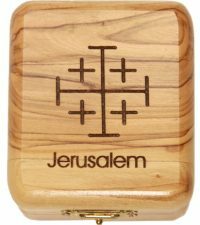 Take a few minutes to browse these gift items, each of which has been carefully hand-crafted from olive wood. 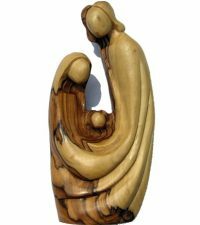 Our Modern Holy Family sculpture is a time-honored favorite – we love giving it as a wedding or anniversary gift, and we love the idea of giving it as a gift for couples celebrating a new baby’s first Christmas here on Earth. 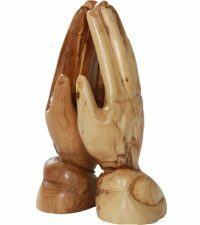 The praying hands sculpture is a great gift for a pastor, a Bible study leader, or someone else who has had an influence on your spiritual life; and the keepsake boxes are just right for presenting to anyone on your list, especially if you tuck a rosary, an olivewood cross, a pin, or some other little treasure inside. No matter what the occasion, and no matter who needs a gift, these special items are certain to please. 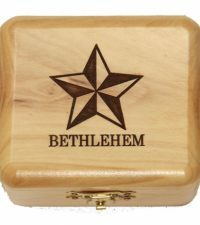 Our gift tag fully details and explains the significance of the product, which is hand-made by Christian artisans in Bethlehem. 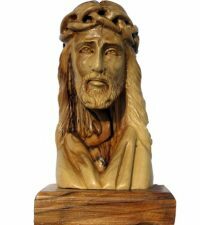 Feel free to look to our product descriptions or our blog entries for inspiration – we want you to share our story.